hand-fired enameled portrait by the Artist/Enameler Ms. Gillie Byrom. With European-cut Diamonds and Sapphire eyes. 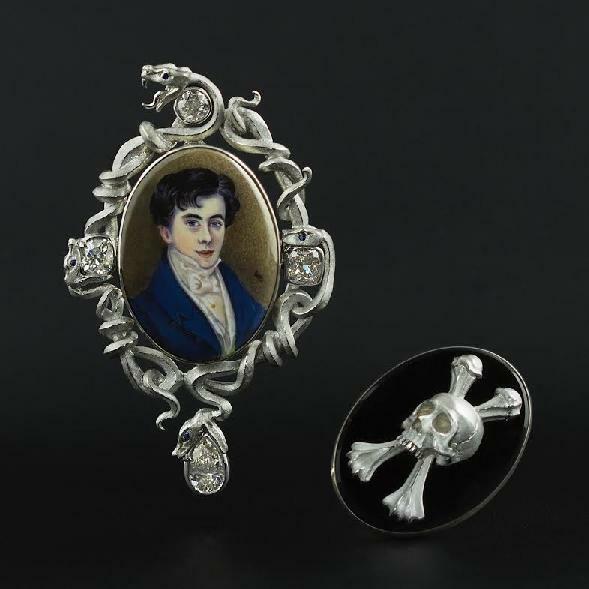 with a bezel-set brooch of Black Onyx mounted with a bas-relief Skeletal portrait.